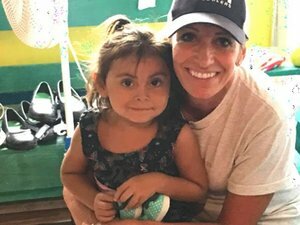 I love it when God presents the opportunity to meet a physical need and a spiritual need at the same time, something He did for a few of us recently in Ecuador. Criss Jami shares this thought, “Good works is giving to the poor and the helpless, but divine works is showing them their worth to the One who matters.” It was Jesus who said in Matthew 25:40, "‘Truly I tell you, whatever you did for one of the least of these brothers and sisters of mine, you did for me.’"
A group of 10 of us just returned from a mission "adventure" with IR6:8 to Roatan, Honduras. I believe we all felt the Lord's presence leading and guiding our little group as we made our way to various schools from one end of the island to the other carrying clothing, shoes and food to be given. The little we bring feels so small but the Lord continually reminds me that love and validation are not things that can be packaged and bought. To give a smile, a hug and to demonstrate the love of God are the lasting gifts. My other favorite aspect of our trips are the devotionals that are given twice daily throughout the week by team members. These times help to bond the team and remind us that we all come from different life experiences, hurts, joys and pains yet we all found ourselves at the foot of the cross looking for a Savior. Some of us crawled there, some ran, some stumbled upon it and some found it right where they were...stuck in the muck and mire. That's what I love about the God, the Shepherd, we serve....He is never hesitant to leave the 99 to bring back the 1! 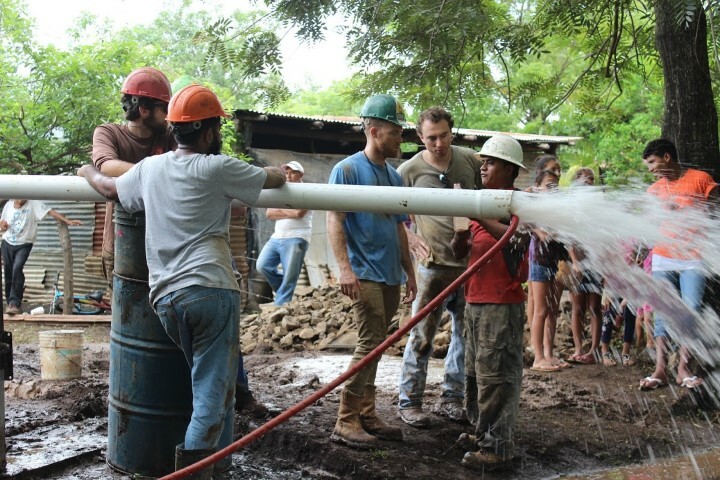 IR6:8 in partnership with Sojourn Montrose sent a team of 8 covenant members to León, Nicaragua with the organization Living Water International with the purpose of drilling a clean water well. The trip was incredibly enriching on a personal level for the team, but more than that, the Gospel was proclaimed in word and deed to the community as we labored in the name of Jesus for water that comes in and through his name. 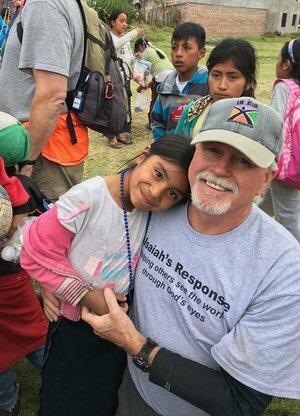 As the Drilling Team moved to our second community after being unable to continuing drilling at the first, it was evident why God brought us there. “I learned to be patient. I wanted so badly to stay at the first community, but after seeing the second one realizing they needed it so much more.” reflects Craig Räisänen. In this second community, it became apparent that they were in dire need of fresh water, the arrival and work of the Drilling Team sped up that process. Sojourn Montrose was proud to partner with Living Water. In the next few months, we plan to pray and seek what the Lord has for our international partnerships. Please consider joining us on our next trip to serve the nations in the Name of Jesus!